The okapi was once believed to be a cryptid. Cryptozoology is the study of cryptids; these are animals people believe exist, but science has not yet identified. Many known animals were once thought of as cryptids, such as the giant squid and the mountain gorilla. Today, cryptozoology enthusiasts believe that science will someday identify other members of the cryptid kingdom such as Bigfoot, lake monsters like the Loch Ness Monster and Chupacabra. For centuries, people have reported sightings of strange creatures, leading to stories about werewolves and other oddities. Towards the end of the 19th century, however, people began studying cryptids in earnest. In 1892, Anthonie Cornelis Oudemans published a cryptozoological study, The Great Sea Serpent. In 1901, when Henry Morton Stanley visited the Congo, he described an animal that people could barely believe was real. 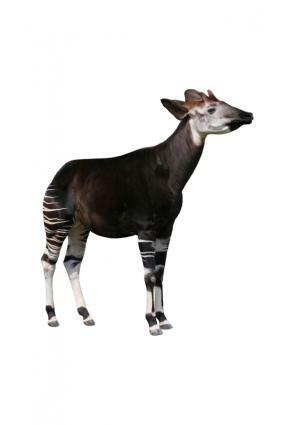 Later research revealed that this strange creature, the okapi, was indeed an actual animal. The 20th century saw an explosion of interest in cryptozoology, with many people entering the field in search of the origins of popularly-reported cryptid sightings around the world. While cryptozoology is termed a pseudoscience due to its heavy emphasis on eyewitness reports and lack of repeatable scientific evidence, experts have divided reported sightings into ten classifications. Whether cryptids are real creatures that will someday become commonly accepted animals or the product of overactive imaginations and urban legends, the study continues today. Many paranormal enthusiasts find themselves fascinated with the hunt for these elusive creatures, dedicating their free-time or careers to discovering species that defy imagination. Keep checking back as more articles are added about these unusual sightings and reports.